the location and inside motel rooms,pool area and the lunch area.Everything was very handy to get too. Very friendly workers. Easy access from highway. Near resturaunts and Tiffin University. Where to find Ashland hotels near an airport? 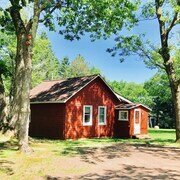 Where can I find hotels in Ashland that are near tourist attractions? 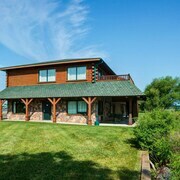 So, are you visiting Chequamegon Bay and are looking to reserve accommodations in or near Ashland? About 4 hotels are within a 0.1-kilometre (0.06-mile) radius of the center of Ashland. 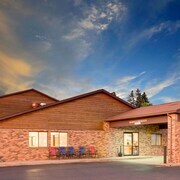 Within driving distance of Ashland, are the Best Western The Hotel Chequamegon and Quality Inn. The Super 8 Ashland is one of a few truly budget hotel options in Ashland. You could try the Lucy's Place and also the Americinn Ashland. 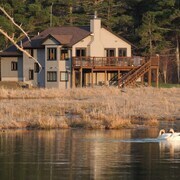 The Lucy's Place can be found 30 kilometres (18 miles) away from downtown Ashland. 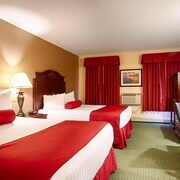 The Americinn Ashland, is situated 7 kilometres (4 miles) away. 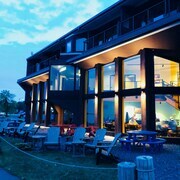 The The Washburn Inn - On the Lake as well as the Old Rittenhouse Inn are two alternative Expedia-listed hotels around Ashland. Consider spending a few hours cheering along with local sports fans at a local game. You'll find AMSOIL Arena 100 kilometres (61 miles) to the west of Ashland. Stay close to the action at the The Inn on Lake Superior or the Sheraton Duluth Hotel. Expedia's travel listing is also a very good way to learn more about Ashland. What are the most popular Ashland hotels? Are there hotels in other cities near Ashland? 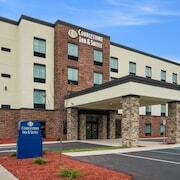 What other types of accommodations are available in Ashland? Explore Ashland with Expedia.ca’s Travel Guides to find the best flights, cars, holiday packages and more!